Gone Fishing Day goes off! YESTERDAY'S national Gone Fishing Day has been declared an overwhelming success with over 130 events staged across the country. Fishing World attended an event at the Sydney Game Fishing Club where Gone Fishing Day organisers hosted several politicians and high profile anglers. Assistant Minister for Agriculture and Water resources, Senator Anne Ruston, NSW Department of Primary Industries Minister, Niall Blair, and Robert Brown MLC from the Shooters and Fishers Party were in attendance and spent several hours fishing Sydney Harbour with local guides and tournament fishos. 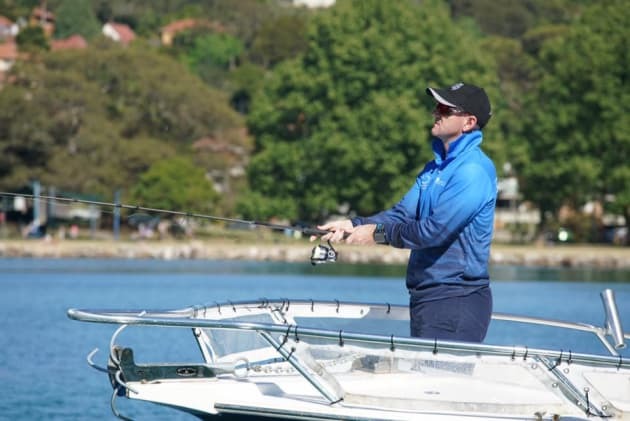 Gone Fishing Day organiser Allan Hansard told Fisho the Sydney Harbour event was a priceless exercise in education for the ministers and a highly valuable method to inform these decision makers of the importance of recreational fishing in Australia. "Having 130 events around Australia really amazed Minister Ruston," Hansard said. "A lot of these club events are already happening around Australia. The purpose of Gone Fishing Day is to put focus on these events and reveal the true size of Australia's rec fishing participation," he said. Feedback from several other events around the country indicate bumper turnouts with families and keen fishos attending. Beyond the organised events, social media pages were active with images of keen anglers and families using the national day as an excuse to get out fishing. Senator Anne Ruston also used the day to officially announce the Recreational Fishing voluntary Code Of Practice and gave a commitment to support next year's Gone Fishing Day, which will be held on October 15th, 2017. Alan Hansard said planning is already underway with plenty of "cool events" and new ideas for the national day. Check out the videos below of Senator Anne Ruston at the Sydney Harbour Event in Watsons Bay.